Atom-sized storage could change the face of data and memory, Opera gets sold, Tesla is in some hot water, Netflix beams up Star Trek & hackers claim to have gone after Pokémon Go servers. Yahoo might be turning into the next AOL, Cyanogen Inc switches to Apps, 3D printing finger prints to login, GPU power on demand & the farming Robot that can heal your garden shame. Plus Chris gets serious about sleep tech & our Kickstarter of the week! A lot is happening in the world of Google & some of the new changes are big improvements for it’s users. Plus the new MacBook killer by Xiaomi that might really be killer & Washington State is suing Comcast, local streaming to a Chromecast & more! A data center fire grounds Delta Airlines, Apple launches a bug bounty, Facebook is killing Clickbait & the Android N bomb. Google’s slowing its Fiber rollout, SpaceX has another success, Tesla has more miles & Adblock plus block Facebook’s Ad block. Plus a quick review of No Man’s Sky, the last VCR ships, listening to your hard drive & our Kickstarter of the week! Was the NSA really hacked? Then some reflecting on Blackhat & Apple’s fight with the FBI in light of the recent leaks. Plus our first hands on with Android 7.0 Nougat & a Kickstarter of the week that’ll give you a real boost. Another round of hack attacks, Apple could be hit with a major tax bill, Nexus’ devices get a big assist & SETI has observed a “strong” signal that may originate from a Sun-like star. Plus a striking Kickstarter of the week! Mario while you eat a hamburger, Note 7’s catching fire, Blue Hydra, a Stingray exposé & Netflix goes to war against data caps. 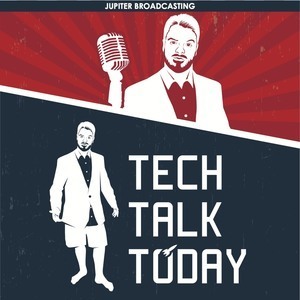 In what might be the final Tech Talk Today, we discuss the saga of exploding phones, the lows & highs of the iPhone 7, Google’s new apps, Logitech's new buy & Valve's ban hammer. Plus our Kickstarter of the week & an important production announcement! Elon Musk bet the future of SpaceX on the Falcon Heavy launch. On Thursday SpaceX launched a pair of prototype satellites intended to form the basis for Starlink, a constellation of satellites that are designed to beam broadband internet down to Earth. Episode 262: Can We Get This Right? If at first you don't succeed, try, try again. And that's just what we've been doing for the last five years, and we still haven't gotten it right. The big adventure is just 10 days away, and this time we're going in with a plan. Amazon's purchase of Ring reveals their deeper ambitious intentions for your home. And it goes way beyond package delivery. My first check-in from the road to SCALE, some quick headlines, and the start to the big adventure. California is ripping our rig apart, its the final big push to SCALE after four days on the road and we're determined to make it. We meet up with some friends, get our geek on, and conquer the road. It starts with a bang! System76 shares their side of the Unity desktop breakup, its brutal and honest. It's just the first day of SCALE16x, and it's shaping up to be the biggest yet.